Electronic Health Records: An International Perspective on "Meaningful Use"
Examines the extent of meaningful use of electronic health records in Denmark, New Zealand, and Sweden, including sharing information with organizations, health authorities, and patients. Outlines challenges of and insights into encouraging U.S. adoption. 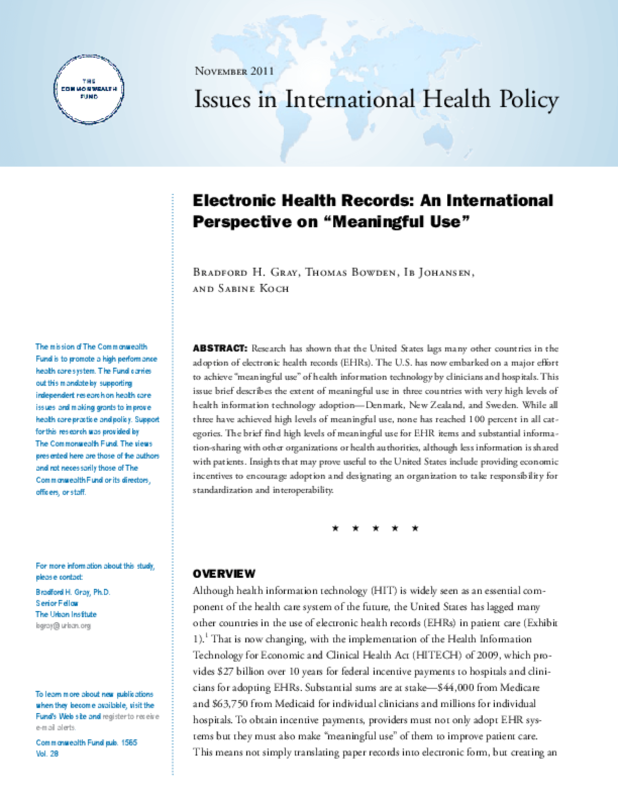 Title: Electronic Health Records: An International Perspective on "Meaningful Use"